Last week I decided to take on a whole SP week, to give myself a boost getting back on to plan 100% after the last of our summer guest left. 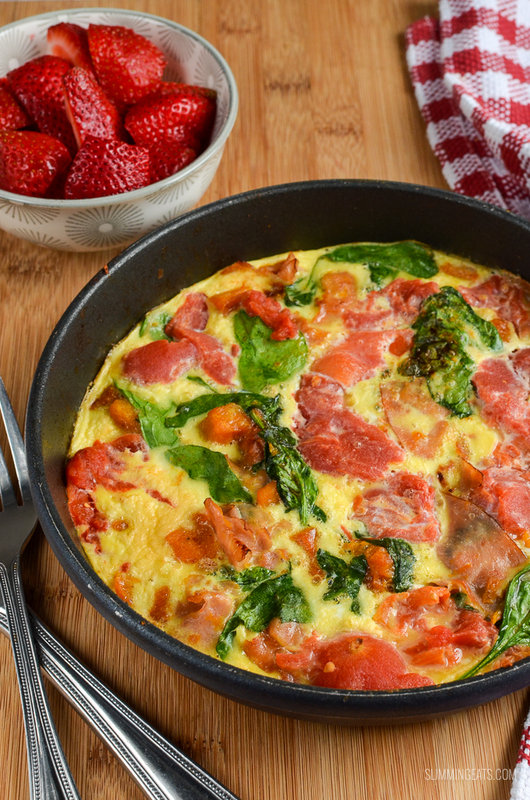 Sometimes when doing an SP week or day, it can be tough thinking of what to making for breakfast, with certain foods being off limits. While you could have the usual HEb of cereal or toast etc which is pretty quick, when I do an SP day or week, I like to keep my breakfasts to just a good protein and some speed vegetables, as I find it is what keeps me satiated for longer and is not a huge sugar rush in the morning. 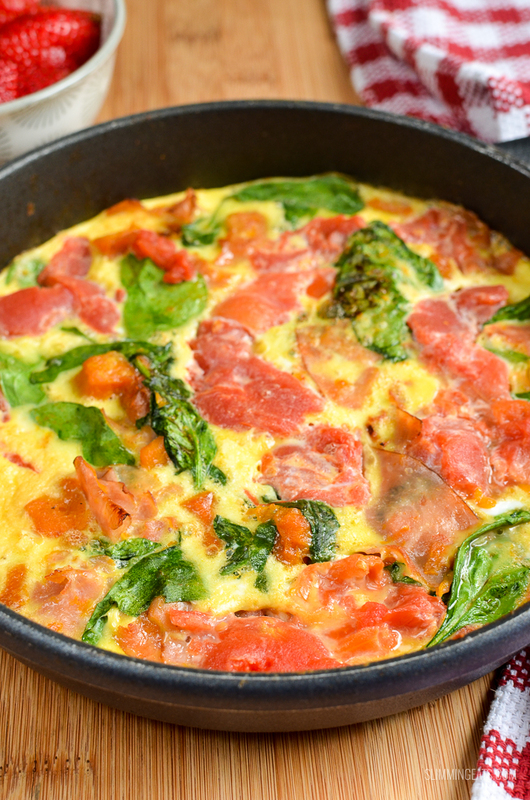 With a breakfast like this Syn Free Speed Breakfast Frittata you can literally add any speed veg you want. 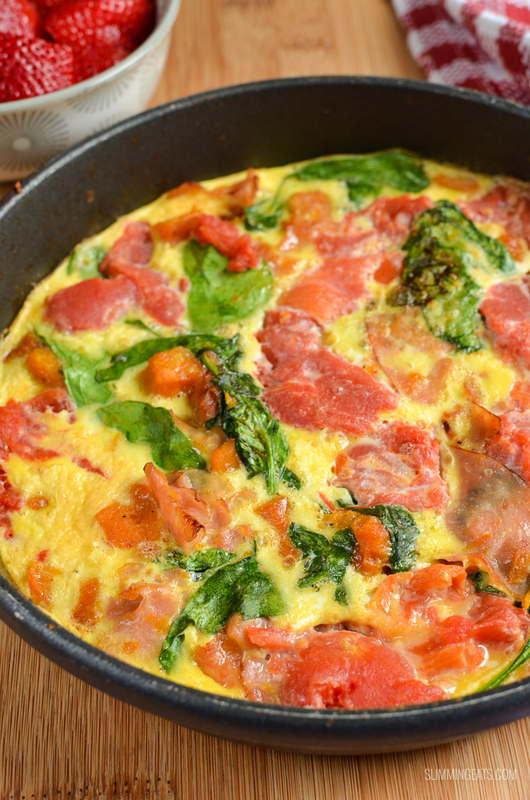 I use a smallish pan, so it is just enough for 1 serving, but you can double up the ingredients if you want it to serve more. 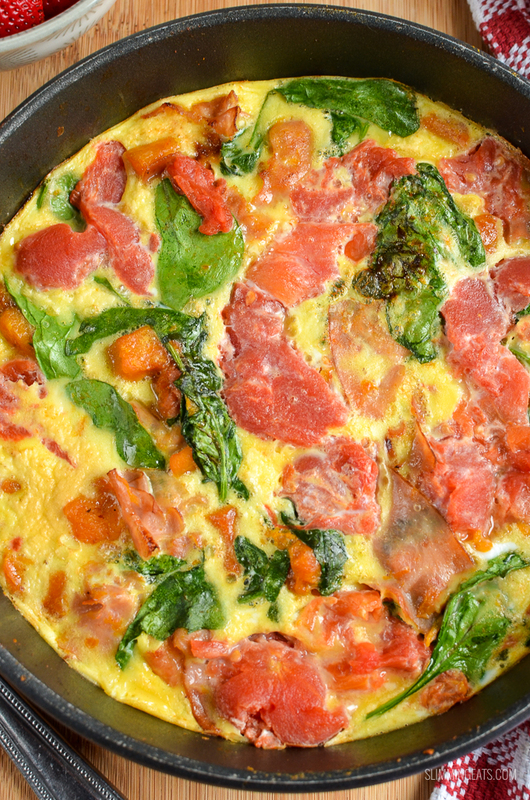 The pan I use for this frittata is 7 inches which is the approx size you want (unless making this to serve more), as you will start this off on the stove and then finish off under the broil (grill). 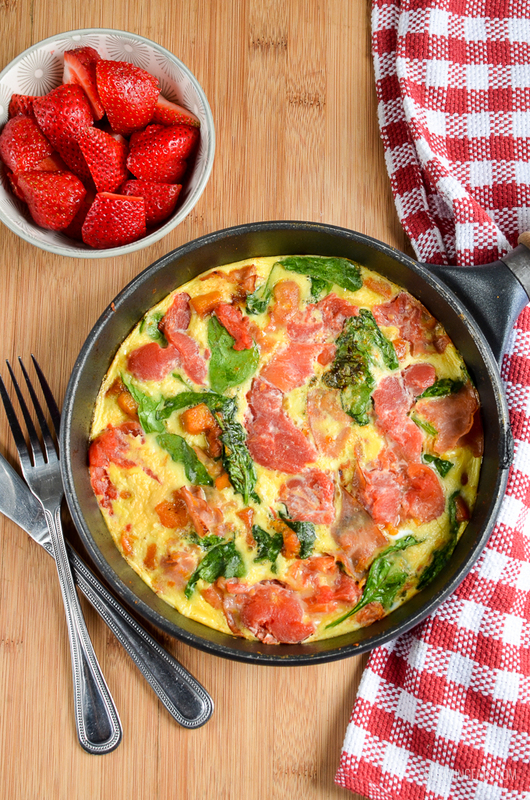 This Cuisinart 7inch Stainless Non Stick Frying Pan is a perfect size and the non stick, means you don’t need to worry about your frittata sticking to the pan. 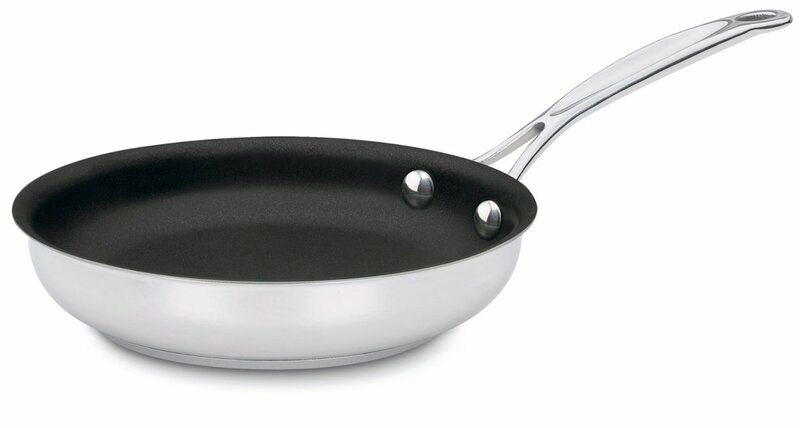 You can check out this Cuisinart Frying Pan on amazon here. 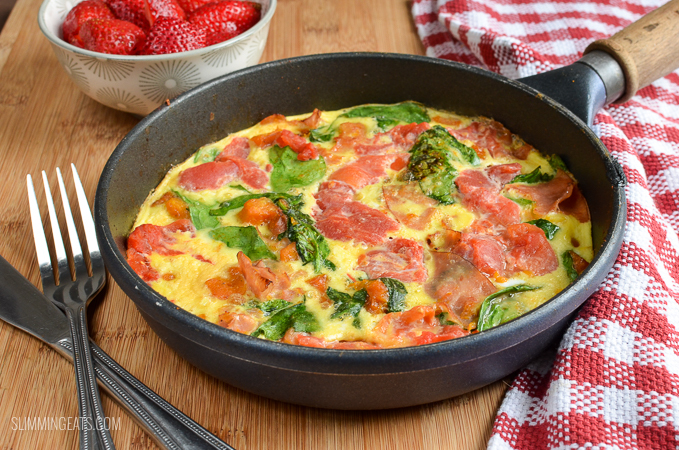 For this breakfast frittata I use just 2 large eggs which is plenty for this size of frittata. For the filling I use some lean ham (or you can use cooked bacon), then I add some of this leftover Paprika Butternut Squash. I love to make up a dish of this butternut squash every week, it is delicious for adding some speed to you plate. Great with eggs or just added to salads, even spooned on top of some soup. If you struggle with speed foods, it’s definitely one to try. Then as well as the butternut squash and ham I also add a couple of tinned tomatoes, Make sure you pierce them to drain out any excess juices, otherwise it will make the frittata liquidy and it won’t set or cook properly, of course you can use some fresh tomatoes too if you prefer, but I already had some plum tomatoes left over from the day before and I don’t waste anything, so they are perfect in this. All thats left to add is add a couple of handfuls of spinach and season with some good ole sea salt and black pepper, then you can crack in the eggs and just swirl around under they cover the bottom evenly. Make sure you space all the filling you have added, it makes it look so pretty with all the different colours and super healthy too. Once you have crack in the eggs, the bottom will already of started to cook, so you can then transfer to the broil (grill) until lightly golden on top. It literally only takes a few minutes and then it is ready to enjoy. 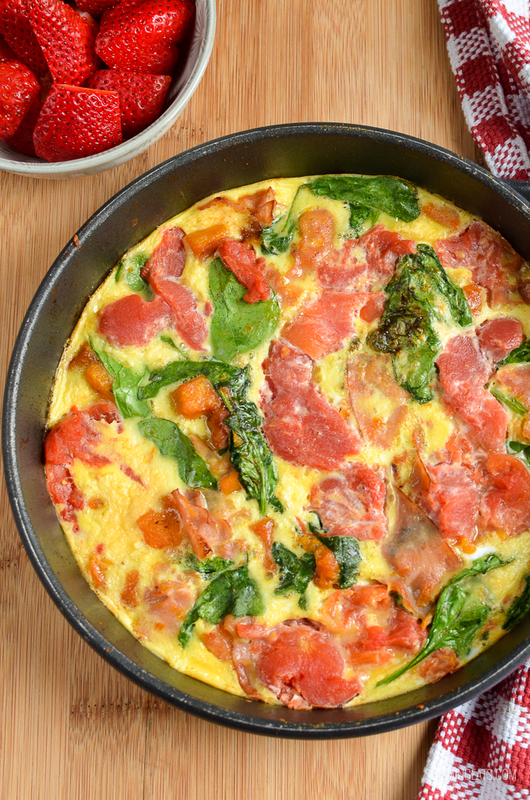 A delicious Speedy Breakfast Frittata. 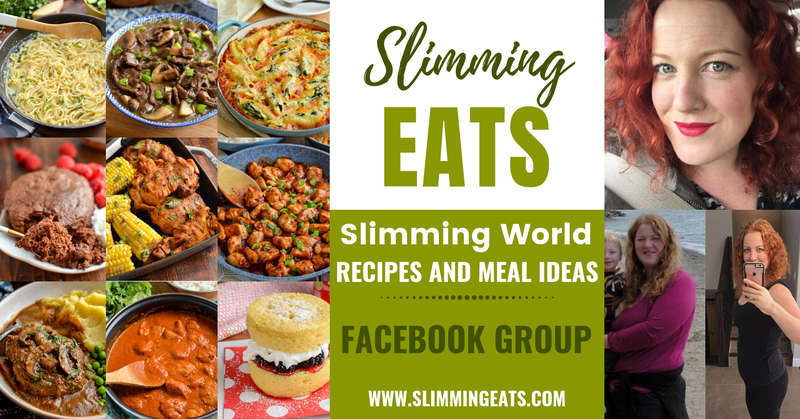 and don’t forget my FULL RECIPE INDEX with over 500+ delicious healthy Slimming World recipes. 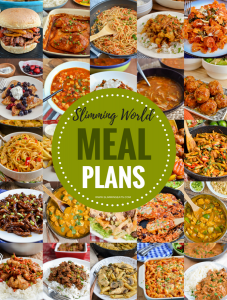 Lastly if you fancy trying a Slimming World SP day or week, check out these amazing MEAL PLANS, where I have it all worked out for you. All you have to do is cook and enjoy. Add in the tomatoes, breaking up with a wooden spoon. Spread out evenly along the bottom of the pan. Whisk the eggs and pour in, swirl across the bottom of the pan, keep on heat for a minute, just too cook bottom. Place until broil/grill until set and a little golden on top. (approx 4-5 minutes) - you may need to increase timings if doubling up recipe. Lovely dish, I also made the paprika butternut squash to put in it, usually hate butternut squash but omg it was amazing, will be making this again! !